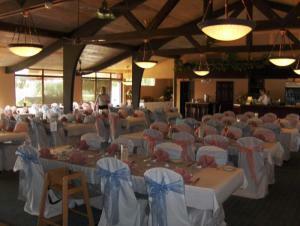 Our complete party, wedding package includes all staff, linen, center piece, dance floor and utilities. 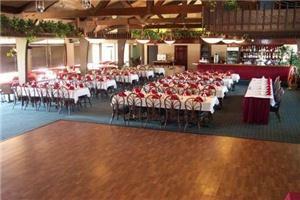 We have a newly renovated Gazebo and two banquet rooms which hold 20-300 people. All rooms have floor to ceiling glass overlooking our lakes, as well as their own dance floors, bars and restrooms. 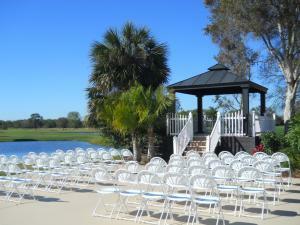 East Bay Country Club Rest/Clubhouse hosts every special occasion including weddings, anniversaries, prom parties, birthday parties and many more.